(SPOKANE, Wash. - Oct. 1, 2014) It&apos;s a first for Spokane and the entire region: a full month devoted to celebrating the arts. CREATE SPOKANE is a 31-day celebration of Spokane&apos;s arts and culture -- across an array of disciplines -- taking place October 2014. Plenty of highlights listed below, but here&apos;s a high point: 17 artists converging on one unsightly, unused, high profile spot in Spokane with 87 mural panels. The Mobile Murals Installation at 3rd Ave and Division St will provide a stunning, kinetic example of the power of art. To showcase our region&apos;s wealth of creative talent as well as to broaden arts appreciation and participation among all residents. The Fall Visual Arts Tour, Mobile Murals Project, the Open Studio Tours, Program Partner events, and the Arts Awards Costume Ball. Oct. 3-5 - The Fall Visual Arts Tour, three days and nights full of exploring the art of downtown Spokane. Friday Oct. 3, 5 pm - The Chase Gallery&apos;s opening reception of Louise Kodis&apos;s and Gay Waldman&apos;s "Color in Motion." Saturday Oct. 4, 9 am - The Mobile Murals Installation, and the Downtown Murals Tour. The Mobile Murals Installation will begin the morning of Saturday, Oct. 4, at the 3rd Ave and Division St intersection. This project, made up of 87 panels and the work of 17 artists, seeks to create temporary, pleasing visual barriers around an eyesore at a major gateway to our city. Though temporary, these walls will create lasting inspiration. Saturday Oct. 4, 2 pm - Starting at the Mobile Murals Installation location, the downtown mural teams will lead a tour to all five of the murals located at underpasses throughout downtown Spokane. This tour will give you the opportunity to see the murals up close and hear the stories behind their creation. Tour concludes at River City Brewing. participation in the arts," says Luke Baumgarten, interim co-director of Spokane Arts. "Most of Create Spokane&apos;s activities and events will be free or low-cost activities and we truly hope to show that arts are accessible and that everyone can participate. It&apos;s a great time for people to get their hands dirty, take chances, have fun and learn to enjoy the arts." CREATE SPOKANE - Art everywhere, all day, every day. The source for everything happening is here: www.createspokane.com. Throughout the month of October, Create Spokane program partners will be hosting workshops, lectures, performances, exhibitions, classes and more. With more than 100 events across creative arts and industries disciplines, there is something for everyone. Find the calendar on our website. Saturday, Oct. 11 -- the public is invited to tour more than a dozen artists&apos; studios to experience the creative process first hand. These Open Studio Tours are a unique opportunity to get to know local artists, across a wide range of disciplines, in their work environment. Learn what goes into creating a painting, writing a poem, producing a film, etc. A map of the open studios is on our website, www.createspokane.com. Thursday, Oct. 30 -- Create Spokane will culminate in the Costume Ball and Awards Presentation. During this event, the Arts Award honorees will be honored in four categories: leadership, collaboration, imagination and inclusion. These awards seek to bring recognition to those artists, arts and cultural organizations that are engaged in enriching our community through the arts. CREATE SPOKANE is presented by Spokane Arts, which has a mission to amplify Spokane as the cultural hub and catalyst for the Inland Northwest through arts leadership, advocacy, networking and support. 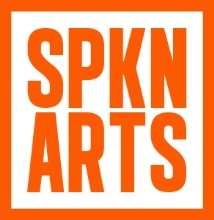 Spokane Arts is a partnership between the Spokane Arts Commission and the 501(c)3 non-profit, Spokane Arts Fund.